World AIDS Day held each year on 1st December has been solemnly marked at the Military Medical Academy presenting the educative movie premiere titled "HIV and Military Population". On this occasion, the MMA Head Brigadier General Prof. Dr. Marijan Novakovic awarded the Chief of Serbian Armed Forces General Staff General Ljubisa Dikovic for the realized contribution in HIV/AIDS prevention and control. Deputy Commandant of Joint Operations Command Major-General Goran Radovanovic received the letter of thanks on behalf of General Dikovic. As General Novakovic has said, the Day is uniting all people worldwide to raise the awareness on HIV pandemic dimensions and demonstrate the international solidarity. It represents the opportunity to inform the population about actual epidemiological situation, as well. - Since the first registered case of patient infected in HIV/AIDS, three decades ago, Military Medical Academy actively participates in disease diagnostics and therapy, along with the global prevention among military staff. 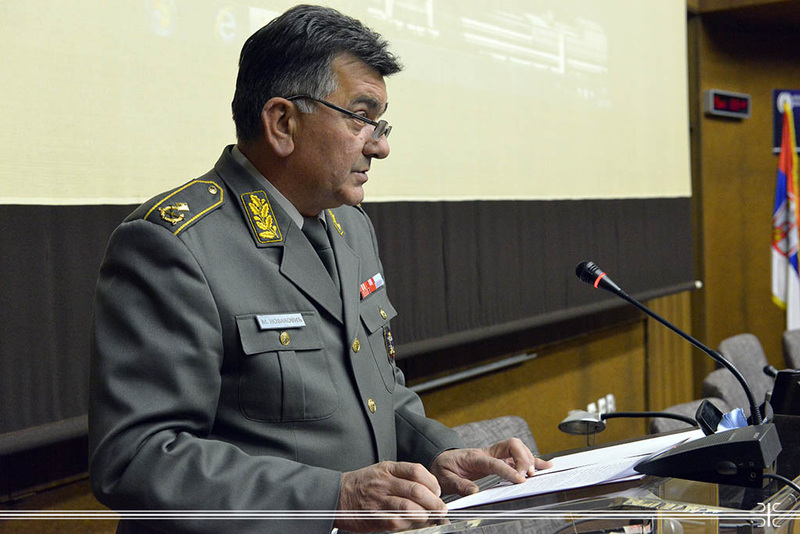 These activities are still carrying out with a great support of Serbian General Staff and within the HIV/AIDS prevention and control program- pointed out General Novakovic, adding the information that the movie "HIV and Military Population" was realized exactly for these purposes. Made in collaboration with the USA Embassy in Belgrade, it is intended for cadets, future of our armed forces. According to the facts presented in the movie, there are approximately 1700 Serbian citizens infected with HIV virus, while the other assessments dedicate about the same number of those who are not acquainted with the infection. During the last thirty years, more than 30 millions of people infected in HIV had death outcome. At the event end, all interested had the opportunity to present at voluntary counseling service and HIV testing, organized in premises of MMA Ambulatory for Consultative Examinations.